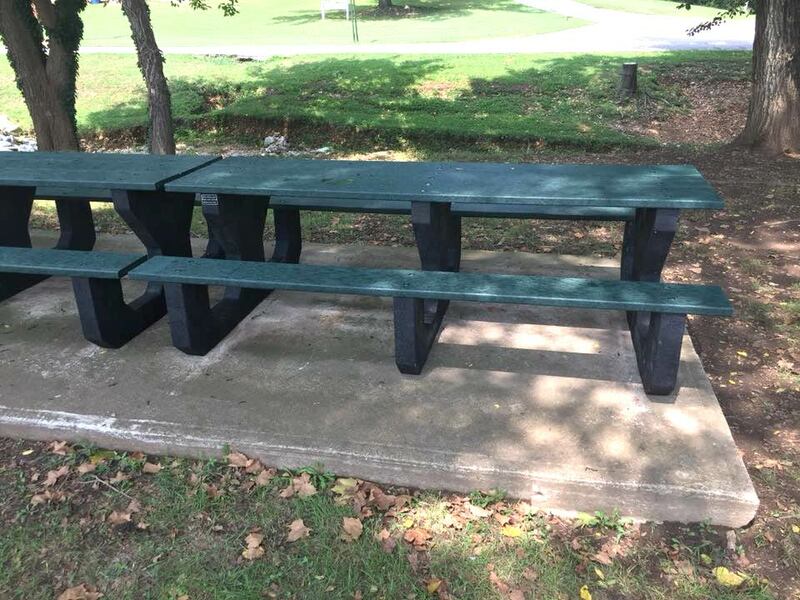 The Hurley City Park has new picnic benches thanks to a Mo. Department of Natural Resources Scrap Tire Surface Material grant. The new tables, installed late last week, are made from recycled tires and plastic. The city received $3,076 to cover the costs of the tables and did not have to pay in any money for them. Stop by the Hurley City Park to check them out.